Add some vintage French chic to your interior decor with this beautiful wall mirror. Perfect for adding some shabby chic inspiration to a grily bedroom or boudoir. Oval shaped mirror with floral swag detailing decorating the frame. Finished in a rustic grey to give an aged appearance. This will look perfect hung in the living room, hallway, bedroom or bathroom. 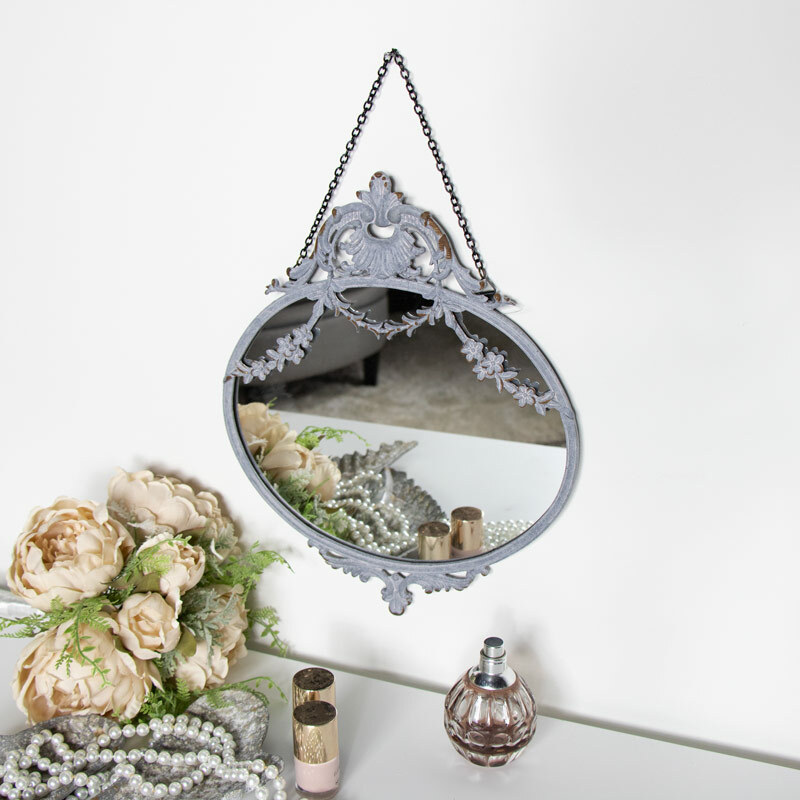 Combining both the elegant and ornate in a practical little mirror. Add some vintage French chic to your interior decor with this beautiful wall mirror. Perfect for adding some shabby chic inspiration to a grily bedroom or boudoir. 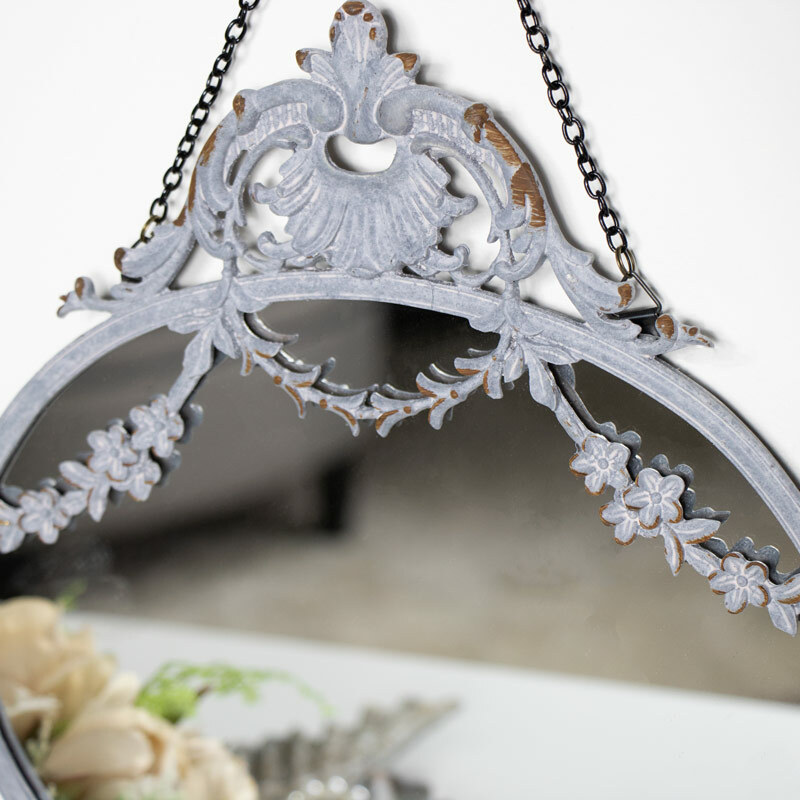 Oval shaped mirror with floral swag detailing decorating the frame. Finished in a rustic grey to give an aged appearance. This will look perfect hung in the living room, hallway, bedroom or bathroom. 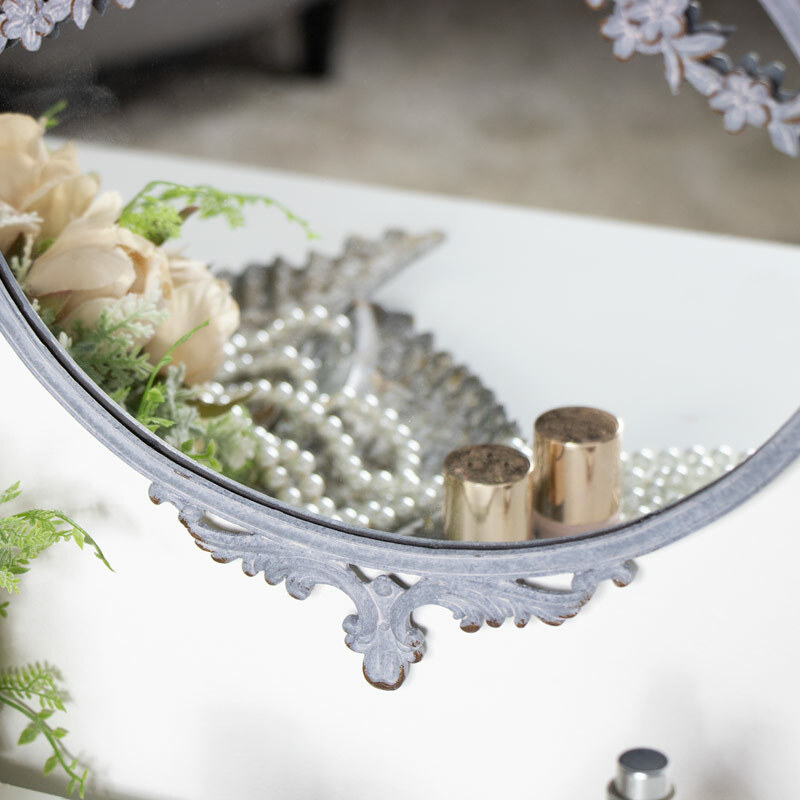 Combining both the elegant and ornate in a practical little mirror. The frame is made from resin and painted grey with distressing to give an aged appearance. Easily wall mounted from the metal chain.